We do not sell, rent or share your contact information with anyone else. We only collect information that you voluntarily provide us. Any contact information you provide us is held securely. By providing us with your contact information, you are obviously allowing us to contact you as needed but only in the context of your real estate needs. You may unsubscribe at any time from our online services or communications. 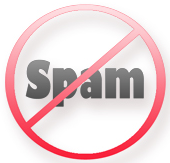 In addition we make every effort to comply with the various US CAN-SPAM acts.